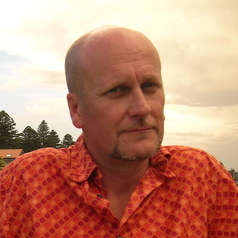 Greg Lehman is an Indigenous Visiting Research Fellow at the Australian Institute of Aboriginal and Torres Strait Islander Studies, Canberra, Australia. He is currently completing a Master of Studies in the History of Art and Visual Cultures at the University of Oxford, and a PhD in Art History at the University of Tasmania. Greg is also an Honorary Research Associate at the Tasmanian Museum and Art Gallery and a member of the Indigenous Advisory Committee of the Australian National Museum. Greg’s research deals with the visual representation of Indigenous people and, in particular, Tasmanian Aborigines in 18th and 19th century colonial art. He is interested in how images in scientific and popular publication and fine art have reflected shifting ideologies and relationships between Europeans and Aborigines, and how these have influenced contemporary policy, administration and attitudes. He is also interested in the experience of European artists in the South Pacific and how this impacted on European art practice. The Tasmanian Museum and Art Gallery and the Australian National Gallery are currently planning for an exhibition of the work of artist Benjamin Duterrau that will draw on Greg’s current research. Duterrau created Australia’s first history painting, ‘The Conciliation’ in 1840 (see http://foundingdocs.gov.au/enlargement-eid-49-pid-66.html). Future research will build on the foundations above to investigate 20th century visual culture and Indigenous people. His earlier publications include a range of articles and essays on Aboriginal fire ecology, heritage, identity and literature. Two Thousand Generations of Place-making, in Making Sense of Place, Valclay, F., (ed.) National Museum of Australia, Canberra. Life’s Quiet Companion, in Carey, G., (ed), The Penguin Book of Death, Penguin, Ringwood.